Whoever said shine is only for night times festivities never saw something as gorgeous as these metallic sandals. I would personally go to breakfast, the supermarket, walk from one room in my apt to another....just to make sure I am wearing these as much as possible. I'm sure you will agree with us when we say these are gorgeous. 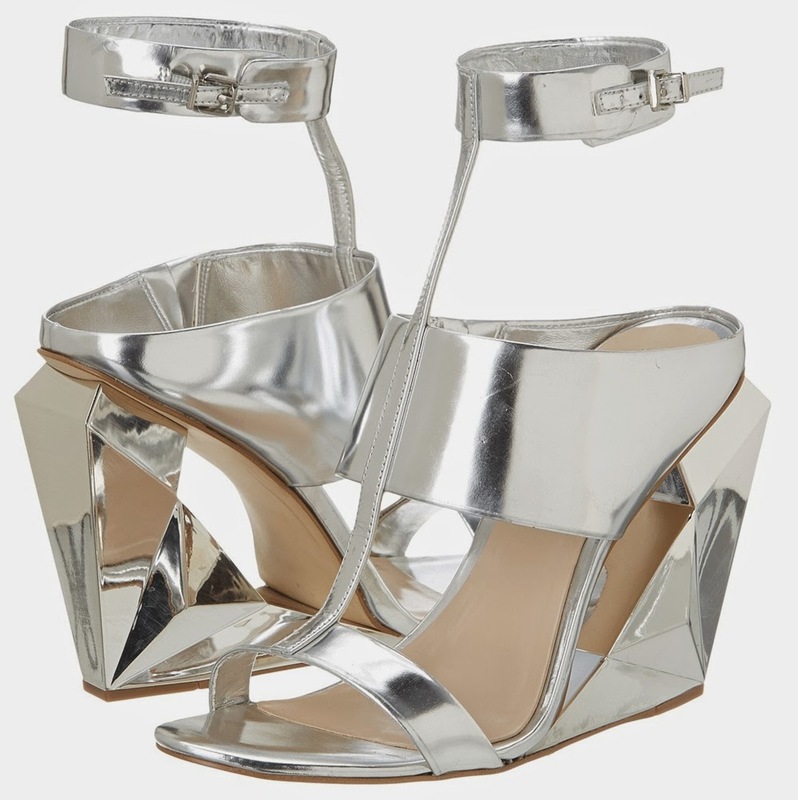 We love everything about these BCBGMAXAZRIA Noella Wedges, from the cool metallic silver hued leather upper, the cutout details on the vamp and back, the combination of a slide silhouette with the vertical strap of a t-strap at the vamp, the classic open toe and ankle strap with adjustable side-buckle closure, and last but not least, the stunning 4 1/4" geometric wedge heels. These retail for $350.00 on the BCBG website, but you can get them for $250.99 on 6pm.com. What are you waiting for?